Mrs. G TV & Appliances is proud to share a few magazine and newspaper articles written about the business and our partnership with local charities. 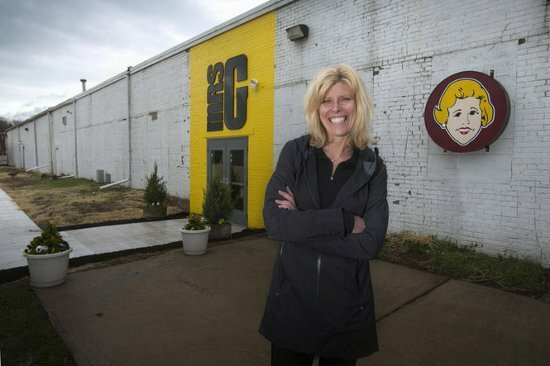 Mrs. G Owner, Debbie Schaeffer was featured in this AP article. Debbie Schaeffer, Chief Customer Officer of Mrs. G was recently named a Dealerscop 2016 Most Powerful Woman in Consumer Technology. The program is designed to recognize game-changing women in the industry who are effective, mentoring, natural leaders among their peers and among thos who work with them. Debbie was chosen in the retail category. Below is an excerpt. You can view the entire Dealerscope 2016 Powerful Women In Consumer Technology here. Trenton, N.J., July 26, 2016 - Retailers from across New Jersey are highlighted in a National Retail Federation videos series, launched today. The campaign highlights the retail industry's economic impact in New Jersey, as part of NRF's Retail Across America series. NRF's film crews conducted interviews with six New Jersey retailers in the state to launch this national campaign. "In New Jersey, we captured some of the industry's most inspiring and powerful retail stories from hardworking and dedicated retail business owners," NRF President and CEO Matthew Shay said. "We want to create a testament to New Jersey's retail impact and highlight innovative companies that demonstrate the versatility and diversity of the industry and contribute to their communities every day." "New Jersey is so unique and when it comes to retail-you name it and you can find it here in New Jersey," New Jersey Retail Merchants Association President John Holub said. "These videos highlight one of the most important industries in the Garden State and recognize how New Jersey retailers are dynamic and constantly evolving." ● Retail Across America: New Jersey - Toys "R" US CEO Dave Brandon, Assembly Majority Leader for the New Jersey General Assembly Lou Greenwald, small business owner Kerri Martin and the New Jersey Retail Merchants Association President John Holub discuss how retail impacts New Jersey's economy and its communities. ● Retail Gives Back - It's in the New Jersey retailers' DNA to give back to the communities they serve. Take a look inside Burlington's Warm Coats and Warm Hearts Coat Drive, Second Life Bike's Earn a Bike Give a Bike program and Toys "R" Us' World Wish Day to see this trait in action. ● Small Business Spotlight: New Jersey - Princeton Record Exchange owner Jon Lambert, The Farmhouse Store owners Kristen and Ron Menapace, and Mrs. G owner Debbie Schaeffer explain the rewards of owning a small business and their close relationship with the New Jersey Community. According to NRF's Retail's Impact study, retail supports more than 1.1 million jobs in New Jersey. Retail also contributes to more than $76 billion of the state's economy. New Jersey is the second state to be featured in NRF's Retail Across America campaign in 2016 and the 18th since the campaign began in 2014. NRF is the world's largest retail trade association, representing discount and department stores, home goods and specialty stores, Main Street merchants, grocers, wholesalers, chain restaurants and Internet retailers from the United States and more than 45 countries. Retail is the nation's largest private sector employer, supporting one in four U.S. jobs - 42 million working Americans. Contributing $2.6 trillion to annual GDP, retail is a daily barometer for the nation's economy. NRF's This is Retail campaign highlights the industry's opportunities for life-long careers, how retailers strengthen communities, and the critical role that retail plays in driving innovation. www.nrf.com. 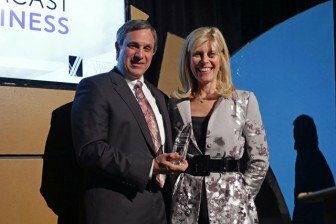 Debbie Schaeffer, the president and CEO of Mrs. G TV, Appliances and Sleep Center in Lawrence, was recently inducted into the NJBIZ Hall of Fame. Schaeffer serves on the board of directors for the Princeton Regional Chamber of Commerce. Schaeffer was one of four business leaders to receive the honor at the annual NJBIZ Business of the Year Awards. The award recognizes business leaders who have shown a long-standing commitment to business success in New Jersey. Schaeffer is the third-generation female owner of Mrs. G, which is located on Business Route 1. The store will be celebrating 80 years in business this year. "I am so honored that NJBiz recognizes that the key to a successful business in New Jersey is to encourage local spending, and that they recognized my efforts to support all independents in the state," Schaeffer said. Schaeffer is in the midst of construction on a new retail space next to fellow family-owned business Worldwide Wholesale Flooring. Schaeffer hopes the move, combined with the changes planned for the old Mrs. G site, will revitalize the Business Route 1 corridor and encourage local shopping and support among Lawrence businesses. "Each dollar you spend at independent businesses returns three times more money to our local economy than one spent at a chain - a benefit we all can bank on. Small businesses donate more than twice as much per sales dollar to local non-profits, events, and teams compared to big businesses," Schaeffer said. "And when you support an independent, you're creating more jobs and keeping community programs alive. If the business isn"t doing well, the community suffers. It"s simple math." Schaeffer has received local, statewide and national attention for her crusade for tax fairness for independent business owners. Since 2012 she has been lobbying for the passage of the Main Street Fairness Act, which calls for an even playing field among brick and mortar and e-commerce entities across the country. Locally her efforts led to the formation of the Princeton Regional Chamber of Commerce Independent Business Alliance. As co-chair of the Independent Business Alliance, Schaeffer worked with the Princeton Regional Chamber of Commerce to develop criteria for business membership as well as a model for both business-to-business and business-to-consumer support. "My goal is to influence the community to shift their spending," Schaeffer said. "I also want to encourage businesses to support each other. This was the example my grandmother set as a business owner, and it"s the model I practice and hope others emulate." Recognized regularly as president and CEO of Mrs. G TV, Appliances & Sleep Center in Lawerence, Debbie Schaeffer is quick to credit her achievements over the past 14 years to her grandmother and company founder-Beatrice L. Greenberg, the original Mrs. G.
From a young age, Schaeffer heard tales about the company, founded by her grandparents in 1935 as a plumbing and supply company. They later expanded their offerings to include appliances. Nearly 80 years later, the name Mrs. G is synonymous with quality appliances and superb customer service. Schaeffer practically grew up in the store. But a job with the famliy business was not her first choice. She earned a degree in civil engineering and entered the construction industry as a homebuilder. After her twin daughters were born, she took some time off to be at home with them. Once they started school, however, Schaeffer was eager to get back to work. "My grandmother thought it was a the perfect time for me to come in and work with her and see if I liked it," Schaeffer says. "She always said I had the business in my blood." And Mrs. G was right. Since joining the company in 2000, Schaeffer has powered it to new heights, adding new luxury brands, redesigning the showroom, holding special events, reaching out to the community, and most recently, adding Serta mattresses and bedding to complement the appliances. Above all, Schaeffer enjoyed the opportunity to work alongside her grandmother, who passed away in 2010. Knowing her grandmother would approve, Schaeffer recently led the store in moving. The new store features a fully updated showroom displaying more than 70 brands, and a formal, functioning kitchen that will host cooking classes. Also inheriting her grandmother's gift for keeping customers engaged, Schaeffer has built a powerful social media presence for the store, relying on blogs to share everything from appliance tips and recipes, to company news and events. She also opens up the store for local chamber and charity events. A few of her favorite events included a "Paint the Fridge Pink" contest and a "Cook for the Cure" cooking class. For her support of breast cancer awareness, Schaeffer was honored with an individual Achievement Award at Susan G. Komen's 12th Annual Spirit of Jane Rodney Celebration. Recently, Schaeffer has taken on a more visible role in the Mercer County area as co-chair of the Princeton Regional Chamber of Commerce Independent Business Alliance. And she regularly hosts professional events to educate and inform on the rights and needs of independent retailers. "I want to encourage businesses to support each other," Schaeffer says. "My grandmother set this example as a business owner, and it's the model I practice and hope others will follow, as well." As the newly elected vice chair of the New Jersey Retailer Merchants Association, she is also working to encourage more independent retailers to join the organization. In addition, she was a 2014 nominee for the National Retail Federation's "America's Retail Champion." Now 56, Schaeffer says she has no plans to retire. Instead, she looks forward to many more years of carrying on her grandmother's legacy. "My grandmother was so smart and a true pioneer for women in business," Schaeffer says. "She loved retail, she had great relationships with her customers, and she was very well-respected in the community." Mrs. G TV and Appliances has been in business for 79 years. What began as a plumbing supply company in 1935 has been transformed over the years by Mrs. G (Mrs. Beatrice Greenberg) herself - who ran the place until her passing in 2010 - and her family. Debbie Schaeffer, Mrs. G's granddaughter, who is the company principal today, spent years having lunch with her grandmother at the front desk of the store and went into business with her in 1998. She took over completely just seven years ago. "She never really had an office. She always sat up front so when you walked in you would always see her and she would greet you," said Schaeffer. "My grandmother was really just a pioneer woman in business. She loved retail, she loved her customers, she had a wonderful relationship with her customers, and was very well-respected in the community." The company strives for excellence as it faces a lot of local competition. Positioned smack in the center of New Jersey, the store is within a half-mile of eight competitors. Schaeffer also cites independent dealers and the tax-free Internet marketplace as strong competition, hoping dearly that the tax loophole will be closed in the future of online shopping. The store makes its fourth move in its history this year, relocating only a half-mile south from its previous location. The new outfit will include a fully updated showroom and a formal, functioning kitchen, sponsored by Jenn-Air, that will play host to cooking classes. The store also hosts Chamber events and charity events that keep the community engaged. "If they're buying a complete fleet of appliances for their kitchen, you might not see that customer for another 10 years," said Schaeffer. "So this is a way to keep bringing that customer back and keep them engaged... They're going to be the ones that say, 'Oh, you have to go to Mrs. G because they'll take really good care of you, especially after the sale.'" One of Schaeffer's favorite events is the Fridge Decorating Contest for Breast Cancer Awareness. The contest allowed kids to brainstorm how they'd paint retired refrigerators and chose six winners to put their idea into action with the help of well known graffiti artist Leon Rainbow. The event raises funds for Susan G. Komen for the Cure. Schaeffer takes keeping customers engaged seriously. Mrs. G has a strong digital presence and the staff pays special attention to the details of the brick and mortart experience. Some of those details include carefully chosen music, delicious cooking scents wafting from the kitchen, and sales staff offering the most up-to-date information and immediate conectivity to business news via iPad. "What the big-box stores can't do is, they can't take care of the customer like we do in terms of having extremely knowledgeable sales associates and taking care of the customer after the sale," said Schaeffer. In recent years, Mrs. G saw the same struggles that many other companies relate to. "The recession was very rough to get through. We worked really hard at keeping our expenses down," said Schaeffer. "Builders in the area weren't building. People weren't buying new homes. People were afraid to spend their money." This year is seeing a comeback for sale. More people are building homes and investing in appliances. Despite the upswing, the store is still careful to price everything competitively because, accoring to Schaeffer, people ae still shopping on price. Mrs. G stopped out of its comfort zone this year by introducing Serta Mattresses bedding to complement its TV and appliance selection. This new line has proven to be a successful venture. On top of it all, Schaeffer and the store at large possesses a powerful social media presence, going strong since 2009. Mary Beth Madill, the Appliance Chef, engages the community by posting all of the store's kitchen affairs on a blog, www.theappliancechef.com. From recipes to events, Madill offers something for everyone, beyond the limits of the local community. Schaeffer does the same, engaging the community with a blog devoted to serving shoppers with tips on how to get the best experience with their appliances, news of the company, and anecdotes. She emphasizes the need for good content: "You can't constantly bombard them with sale, sale sale, product, product, product. They want to know about, you know, what's a great tip on cooking better? What's a great tip on washing your clothes better?" Mrs. G sees a bright future ahead as the economy rebounds, and Schaeffer looks forwards to further innovation, both online and in-store. (LAWRENCEVILLE, NJ): A lot has changed in retail since Debbie Schaeffer assumed the helm of her grandparents' appliance business, Mrs. G TV & Appliances, in 2001. For one thing, Schaeffer has become a crusader for Main Street merchants' rights while attending to customers and designers at her Lawrenceville, NJ store. "When I became CEO, we didn't have e-commerce," commented Schaeffer. "The big box chains were our only real competitors, but now the tax loophole that online-only retailers use to their competitive advantage is the biggest threat to Main Street businesses. As I get ready to celebrate Mrs. G's 79th year in business, I have seen what needs to be done and what is missing in terms of a representative voice where it matters most." Community is also what matters. As a local business woman, Schaeffer carried on her grandparents' philosophy of taking care of the customer and giving back to the community. As a business leader, she has been actively campaigning for fair tax rights for Main Street merchants, her retail community. With the help of John Holub, President of the New Jersey Retail Merchant Association and The National Retail Federation (NRF), Schaeffer has made inroads with lawmakers both at the state and federal level. Her annual attendance at NRF's Retail Advocates Summit in Washington allows her to join retailers from around the country to focus on key issues that will impact retail's future. This year, when Schaeffer travels to Washington on July 29th, she will do so as a nominee for "America's Retail Champion" for her tireless work. The National Retail Federation is the world's largest retail trade association, representing discount and department stores, home goods and specialty stores, Main Street merchants, grocers, wholesalers, chain restaurants and Internet retailers from the United States and more than 45 countries. The Retail Advocate Summit was a grass-roots advocacy program started by the NRF to allow the powerful voice of the small business owner to be heard. 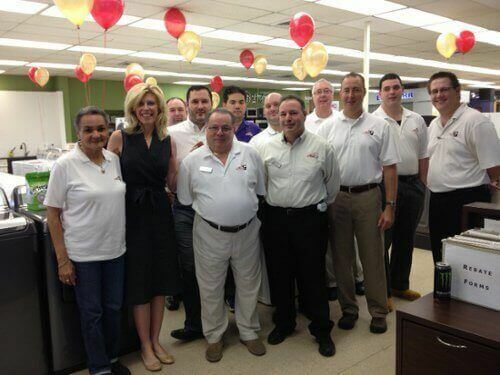 "Debbie is a tireless advocate for independent retailers in New Jersey and the entire country," added Holub. "Thanks to her efforts like hers, we are on the verge of cracking the dysfunction in Washington and bringing sales tax fairness to fruition." This isn't the first time that Schaeffer has used her influence for the betterment of her retail colleagues. She regularly hosts professional events to educate and inform on the rights and needs of independent retailers. She is also the co-chair of the Independent Business Alliance with the Princeton Chamber of Commerce whose mission is to promote local independent businesses and facilitate networking and education with a focus on developing growth strategies for independent businesses in the Princeton Region. Most recently she was elected as vice chair of the New Jersey Retailer Merchants Association, where she is working with John Holub to encourage more independent NJ retailers to join the NJRMA. At the end of the day however, for Schaeffer, it's all about community, fairness, and love for what you do. "The Main Street retailer is a vital part of the growth of our local economies," added Schaeffer. "Our community matters and we will re-invest on average 65% of our revenue back into the community in order to help them thrive in the arts, children's programs, annual events, and more. Not only that, but we help create jobs. Everything Main Street retailers do is cyclical to the health of the local community and we need a level playing field in order to keep doing what we love." 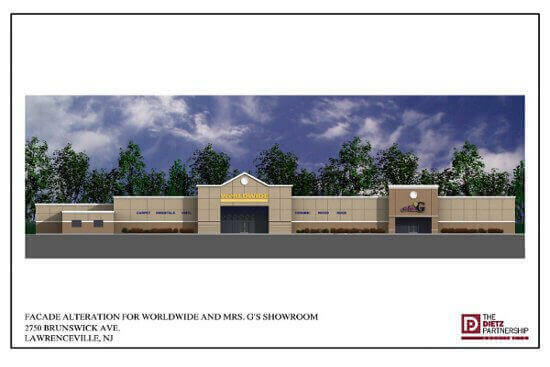 For more information about Mrs. G TV, Appliances & Sleep Center, visit www.mrsgs.com, or drop in to their new location next to Worldwide Wholesale Flooring on Business Route One just south of Route 295/95. To contact Debbie Schaeffer email Debbie@mrsgs.com or call 609-882-1444. As orange moving trucks hauled refrigerators, ovens and grills less than a mile down Route 1 in Lawrence yesterday, employees and crews were busy organizing the inventory and transforming a portion of Worldwide Wholesale Floor Coverings into Mrs. G TV & Appliance's new home. It was the fourth move since Debbie Schaeffer's grandmother started the family business in 1935. Though the store had been operating at the same Bakers Basin Road corner in Lawrence for more than 40 years, it was time for a fresh start close by, said Schaeffer, who became president after her grandmother's death in 2010. "I've always wanted a new store. No question, my grandmother would absolutely love what I'm doing," Schaeffer said yesterday as she made her way around the new 13,000-square-foot showroom where some products sat in bubble wrap and others gleamed, ready for sale. "It feels like home to me, like it was meant to be." While crews affixed signs inside and put the finishing touches on the new space on Route 1 at Darrah Lane, doors were open for customers interested in purchasing appliances or those curious to see what the new Mrs. G has to offer. "As much as I would have loved to do it all overnight, it just wasn't possible," she said of the move. "It's going to take a couple days." Schaeffer will have an official grand opening and ribbon-cutting April 29, she said. She still has the former store until May 14, which gives workers time to "make peace" and settle into the new space, she said. Throughout the moving process, she uncovered decades-old Mrs. G advertisements and other keepsakes of her grandmother's, she said. "The clean-out has been so much fun," she said. "My grandmother had such a great way of advertising with her face and logo and engaging the community. She was just so smart." While construction continues on the rest of the store, Mrs. G will operate at the temporary showroom inside Worldwide, with a separate entryway bearing the Mrs. G logo and lettering from the old store. In September, that showroom will become Mrs. G's warehouse, and a 12,000-square-foot showroom on site will then showcase the inventory. This will allow Schaeffer to sell her current warehouse on Eggert Crossing Road, she said. "We want everyone to know we are still open. The whole planning was that I really didn't want any down time," she said. "I have salesmen that rely on the sale, whether that's over the phone or customers coming in." As Schaeffer signed off on deliveries and decided where to place the inventory yesterday, she paused, wide-eyed, marveling at the open-floor concept before her. "It's so easy to see everything. In the old store, I kept adding products year after year. We never really got a flow," she said. "Now everything's open and you can see better." As for the former spot, the Hotz Development Group has approvals to begin a 16-acre redevelopment project there, constructing a Wawa convenience store and gas station, a TD Bank branch, a McDonald's and an office or retail building. Trees already have been removed, but it is unclear when construction will officially begin, township engineer James Parvesse said yesterday. Developer Bill Hotz did not return messages left for him yesterday. Though the former location was home for more than four decades, Schaeffer is happy to bid it farewell and embark on a new chapter, she said. "I've been working on the development of that corner for quite some time, so I'm really happy now with what's happening there," she said. "Everything that's going to happen at the corner will be great for the community. I don't feel like it's bittersweet." Standing in the store her grandmother started and ran until her death, Mrs. G TV & Appliances President Debbie Schaeffer said she could feel her grandmother's blessing. After operating at the same Route 1 location in Lawrence for four decades, even Mrs. G herself - who died in 2010 - would admit it's time to move, Schaeffer said. "When I knew this building had to come down, my gut told me to stay," Schaeffer said on Friday afternoon. "But time healed me a little bit. It just didn't start to feel so bad. I think my grandmother is watching me, and she knew this was the right spot for me. She made it happen." The right spot for Schaeffer will be a 12,000-square-foot portion of Worldwide Wholesale Floor Coverings, also on Route 1 in Lawrence, where the business will permanently relocate when its longtime home at the Bakers Basin Road corner is redeveloped. Although original plans had called for Mrs. G to temporarily relocate and reopen in a new building on the current site, concerns about parking and squeezing into a two-floor layout led Schaeffer to look at other options. "Moving an appliance store is not like moving a jewelry store. Logistically, it would have been very difficult," Schaeffer said. "As it evolved, it became really clear that this would be the best spot for the new Mrs. G."
Beginning April 15, Mrs. G will open a temporary showroom inside Worldwide, with a decorated interior entryway and separate outside entrance, while construction continues on the rest of the store. In June or July, Schaeffer estimated, Mrs. G will open a state-of-the-art showroom and warehouse in the same facility, allowing it to hold warehouse sales, and also sell its current warehouse on Eggert Crossing Road. "It's thinking outside the box and could end up driving a critical mass of people here," Mercer County Economic Development Director Elizabeth Maher Muoio said yesterday. "This will drive consumers down to this end of Route 1. They clearly have some issues and we want to drive business here. This will do it: People can get out of their car and stay in a certain area." Worldwide Vice President Darren Braunstein said the new arrangement will let customers both renovate and outfit their homes or projects with one stop. "It will be a great synergy, having us working side-by-side," Braunstein said. "We have the same customer, a consumer who's fixing up or renovating their home. We're talking to the same person on a regular basis. Now, they have one destination, one place to come." Braunstein's store sits just one mile from the current Mrs. G site but, beginning in April, it won't look anything the same. The Hotz Development Group has approvals to begin a 16-acre redevelopment project on the site, constructing a Wawa convenience store and gas station, TD Bank branch and an office or retail building. And talks are underway to ensure that the old Giordano Diner, abandoned for decades and just a few steps away from Mrs. G TV & Appliances, will be relocated, developer Bill Hotz said yesterday. Originally offered for free to anyone able to move it, Hotz has narrowed it down to four potential owners who intend to move it to Hamilton, Ewing, Lambertville or Monroe, Hotz said yesterday. Before even moving the diner, the new owner would probably have to extensively renovate it to ensure it won't collapse during transfer. "It's becoming a very expensive proposition to move, as everyone's finding out," Hotz said. At nearly 80 years strong Mrs. G TV, Appliances & Sleep Center has become synonymous with modern small business success stories in an era of online shopping. And now, after years of building a reputation as an advocate for independent businesses, Mrs. G's president and CEO Debbie Schaeffer has taken a more visible role in the Mercer County area as co-chair of the Princeton Regional Chamber of Commerce Independent Business Alliance. Since 2012 Schaeffer has been lobbying for the passage of the Main Street Fairness Act, which calls for an even playing field among bricks-and-mortar and e-commerce entities across the country. This sparked a demand for hyperlocal awareness and led to the formation of the Independent Business Alliance. The mission of the Independent Business Alliance is to promote local independent businesses and facilitate networking and education with a focus on developing growth strategies for independent businesses in the Princeton region. And what's not widely known is how much of an impact that independent businesses have on the local community. "Each dollar you spend at independent businesses returns three times more money to our local economy than one spent at a chain - a benefit we all can bank on," said Schaffer. "Small businesses donate more than twice as much per sales dollar to local non-profits, events, and teams compared to big businesses. And when you support an independent, you�re creating more jobs and keeping community programs alive. If the business isn't doing well, the community suffers. It's simple math." As co-chair of the Independent Business Alliance, Schaeffer worked with Peter Crowley, CEO and president of the Princeton Regional Chamber of Commerce, to develop criteria for business membership as well as a model for both business-to-business and business-to-consumer support. "My goal is to influence the community to shift their spending," added Schaeffer. "I also want to encourage businesses to support each other. This was the example my grandmother set as a business owner, and it's the model I practice and hope others emulate." The formation of the Independent Business Alliance is just the beginning of Schaeffer's impact on the longevity of independent businesses. As the newly elected vice chair of the New Jersey Retailer Merchants Association, she is working with President John Holub to encourage more independent NJ retailers to join the NJRMA. And next week, Schaeffer will join Holub and Peter Crowley for her third Walk to Washington to discuss New Jersey's current economic situation with corporate executives, small business owners and legislators. Schaeffer's passion and influence is clearly felt by all around her, and anyone who shares her drive can take the first step by getting involved with the Independent Business Alliance. Either visit the Princeton Chamber website, princetonchamber.org, or send Schaeffer a message on one of the many social networks where she can be found. She's everywhere -for her customers, for the community, and for independent businesses in New Jersey. LAWRENCE - A Montana senator and Michigan congressman who head powerful tax-writing committees stopped at Mrs. G's TV and Appliances this morning during their national tour to promote tax reform. Sen. Max Baucus (D-Mont. ), chairman of the Senate Finance Committee, and Rep. Dave Camp (R-Mich.), chairman of the House Ways and Means Committee, were received at the Route 1 retailer by the company president, Debbie Schaeffer. After Schaeffer gave them a tour and showed off various appliances, the group gathered around a countertop in a kitchen design showroom to talk about the challenges that small businesses face in managing their tax obligations. "There may be 31 definitions of a small business in the tax code, but the real definition is right here in Lawrenceville," Baucus said. "It is defined by the hard work and dedication by the people here at Mrs. G."
Schaeffer and her accountant Marguerite Mount, managing director of the Mercadien Group in Hamilton, said the tax code is too complicated, challenging businesses with its multiple definitions of a small business and the difficulties of qualifying for tax breaks. "The only thing people dread more than filling out tax forms is the fear that they'll make a mistake and then be a target of an audit. Whether it's for a small business like Mrs. G's or for a family, filing taxes is expensive, time consuming and confusing," Camp said. "We have an opportunity to change all that so that the tax code is fairer and easier to comply with - for families and businesses of all sizes." Baucus and Camp left Mrs. G's to head for their next stop, The Hub Centers for Meeting and Collaboration in Philadelphia. They said they plan to visit communities around the country to hear ideas for how to improve the tax system directly from the public. After three generations, their appliance business keeps humming along. 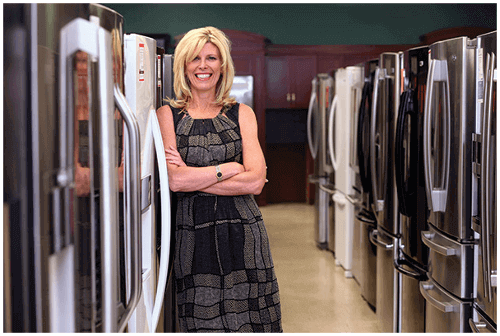 Debbie Schaeffer knows a thing or two about selling appliances. She represents the third generation of women deeply involved in her family's business. It started in 1935, when Schaeffer's maternal grandparents, Abe and Beatrice Greenberg, opened a plumbing-supply store, New Jersey Plumbing, in Trenton. Later, the Greenbergs (affectionately known as Mr. and Mrs. G) expanded the the operation and became appliance dealers. In the 1950s, the family renamed the store Mrs. G TV & Appliance, moving to Ewing. In the early '70s, a gas-line explosion leveled the Ewing store. Within days, the family relocated the business to their Lawrenceville warehouse, its current location. Schaeffer, 54, grew up in the business and saw firsthand how her grandparents built the company. "I'd always been very close to my grandmother," she says of Mrs. G. "She worked seven days a week up until the age of 95." Debbie's mother, Barbara Rentschler, started working for the company at 15 and eventually took over the marketing side. "My mother is retired, but she still keeps a pulse on the industry," Schaeffer says. "She listens, and knows good advertising. She cuts out advertorials and mails them to me from Florida." Learning by example, Schaeffer developed the same work ethic as her mother and grandmother. She went to work for the company in sales after earning a B.S. in civil engineering from the University of Michigan. She took over the business as CEO and president in 2000. Today, the 20,000-square-foot appliance, TV and plumbing-fixture showroom continues to serve a loyal clientele in New Jersey and Pennsylvania. Schaeffer is deeply involved with her local Chamber of Commerce and the National Kitchen & Bath Association. The retailer hosts benefit events raising money for charities including Susan G. Komen of Central Jersey and the United Way. The store also offers cooking demonstrations throughout the year to showcase the talent of area chefs and promote locally grown food. "Our relationship with the customer has really kept us going during tough economic times," says Schaeffer. Referrals, she says, are essential, as is maintaining personal relationships in the community. Schaeffer is the mother of twin 19-year-old daughters, Leah and Samantha; both work at Mrs. G during summer breaks. Leah is studying retail at the University of Arizona and plans to enter the family business. Samantha is a neurology and psychology student at her mother's alma mater, the University of Michigan. As for Schaeffer, she remains hands-on at the business she loves. "I do not have an office," she says. "I'm always around or at the front of the store." This month, Mrs. G TV & Appliances was honored with two statewide business awards: The 2012 New Jersey Family Business of the Year Award by the Rothman Institute of Entrepreneurship, awarded on October 17th, and the New Jersey Retailer of the Year by the New Jersey Retail Merchants Association, awarded on October 24th. The Rothman Institute of Entrepreneurship, which is part of Fairleigh Dickinson University Silberman College of Business, teaches and supports entrepreneurship and innovation in the academic, business and nonprofit communities. For 20 years, the Institute has awarded New Jersey family businesses to highlight their successes and commitment to the community. Mrs. G's received the award for the "Up to $10 Million" category and Becht Engineering of Liberty Corner, NJ won in the "Over $10 Million" category. "When I submitted my entry I not only talked about the 3 generations of women owners but also the generations of managers and sales associates that work at Mrs. G's," said CEO Debbie Schaeffer, who is the granddaughter of the store's co-founder and namesake Beatrice Greenburg, Mrs. G. "I have a dedicated father-son management team, Tom and Chris Grey, and two brothers, Keith and Pete Foerst, who enjoy sharing their stories with the generations of customers who are loyal to Mrs. G's". The award given to Mrs. G's by the New Jersey Retail Merchants Association was in part due to Debbie Schaeffer's advocacy at the state level for Internet sales tax reform. It was through her public support that a bill mandating online retailers, like Amazon.com, to charge sales tax will go into effect in July 2013. The New Jersey Retail Merchants Association was founded by groups of retailers who were concerned over the growing amount of legislation being introduced that directly impacted New Jersey businesses. The non-profit organization is located in Trenton and acts as the voice of the New Jersey retail community. "The combination of tradition and innovation, giving back to the community, focusing on 1-1 relationships and using social media strategically has been my formula for success," commented Ms. Schaeffer. "I work very hard to promote a buy local campaign. Locally owned businesses reinvest in the local economy at a 60% higher rate than chains and Internet retailers. When you buy local, you will be supporting family businesses who hire locally, support community based nonprofits and schools and serve as the foundation of New Jersey's economic strength." Debbie's business practice has influenced other independent retailers at the local, statewide and even national level. Debbie and Mrs. G's have received many honors and awards including Princeton Regional Chamber of Commerce Innovator of the Year Award 2011, Legacy Award for Women in Consumer Electronics 2010, Princeton YWCA Tribute to Women Award 2010, Mercer Regional Chamber of Commerce Outstanding Small Business Award 2009. Debbie has been rewarded through the numerous organizations she supports through Mrs. G's as well. 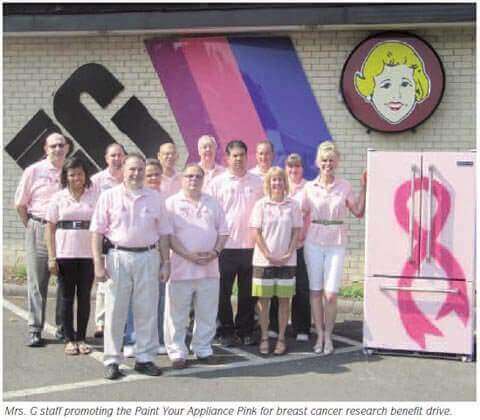 This month, the store hosted their 2nd annual "Paint Our Fridge Pink" contest to benefit the Susan G. Komen Foundation of Central & South Jersey. The contest, which was open to kids in middle through high school, allows students to be creative for a good cause. Debbie also supports the National Junior Tennis & Learning of Trenton each year for their gala. In 2012, Mrs. G's celebrated its 77th year in business. With a commitment to the best customer service and the lowest prices around, guaranteed, Mrs. G's remains the foremost appliances dealer and electronics store in the NJ and PA area. Local. That's the one label Debbie Schaeffer hopes people can pin on her. When people invest their money and time in local businesses and organizations, in Debbie's opinion, communities can thrive. And as the third generation owner of Mrs. G's Appliances in Lawrenceville, she's adhered to that philosophy her entire life. Debbie cites figures (detailed in the 2004 Andersonville Study of Retail Economics), stating that for every $100 spent at a chain store, only $43 stays in the local economy. But for every $100 spent with local firms, $68 remains. She's also spoken out against NJ tax revenue lost due to online purchases that permit consumers to report and pay their own sales tax. Her requests to "level the playing field" may be getting noticed; next year, giant Internet retailer Amazon.com will begin collecting sales tax for online purchases. "I try hard to use local services for my business and for my personal purchases," Debbie says. "I always think first whether I can get things locally and keep money in the community. And I don't blame people for trying to save money, I really don't. But keeping it local is an important way for all of us to protect and support each other." Debbie speaks fondly of her grandparents, Abe and Beatrice "Mrs. G." Greenberg, who founded Mrs. G's 77 years ago as a Trenton plumbing supply store. Long-standing customers surprise Debbie with stories about Mrs. G, and as time goes on, Debbie finds she has much in common with grandma. Like Mrs. G, Debbie considers herself a careful businesswoman who is fond of having kids visit the store, and enjoys being a part of any conversation. Debbie continues to build on Mrs. G's tradition of partnering with local businesses and organizations. For instance, the store will hold its second annual "Paint Our Fridge Pink" contest on October 20. The event will include three new refrigerators painted by Trenton's nationally known graffiti artist Leon Rainbow, as well as area children. The refrigerators will be auctioned to benefit Susan G. Komen for the Cure Central/South Jersey, the breast cancer awareness organization. The store also helps support the Oyster Bowl, an annual eating contest held at Princeton's Blue Point Grill, whose proceeds also benefit Komen. Mrs. G's is also known for donating merchandise to be raffled off at area golf outings and silent auctions throughout greater Mercer County. Debbie personally supports two organizations that she holds close - the Princeton Arts Council, and National Junior Tennis and Learning of Trenton (NJTLT). She is on the Arts Council Board, and speaks fondly of its classes, outreach and scholarships provided throughout Greater Mercer. Active with NJTLT, she is a natural match for the organizations as a life-long tennis fan who grew up playing in Trenton's Cadwalader Park on the same courts used by NJTLT. Her tennis prowess led her to play at University of Michigan, where she earned a BS in Civil Engineering. "Debbie is an excellent example of how private businesses can collaborate with local charities to make a difference," says NJTLT Executive Director Dan Faber. "She embraces our mission and understand the importance of providing opportunities to low-income families. 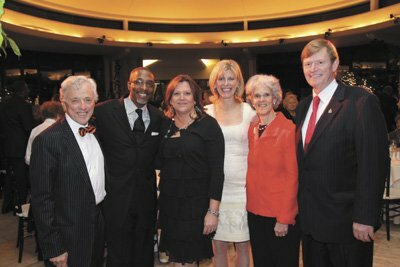 She takes her role as a community leader seriously by participating in our events, donating to our auctions, and always advocating for our tennis and education programs." Debbie is the recipient of many local and national awards. She was honored with the YWCA of Princeton's Tribute to Women Award, the Mercer Regional Chamber of Commerce Outstanding Small Business Award, and the Princeton Regional Chamber of Commerce Innovator of the Year Award. Mrs. G's is one of three finalists for the NJ Family Business of the Year, as determined by Fairleigh Dickinson University's Rothman Institute. The recipient will be revealed on October 17. As much as Debbie and Mrs. G's relish a rich family tradition, both strive to remain ahead of the curve. As an early adopter of social networking, she maintains a presence on Facebook, Twitter, Google Plus, Youtube, and a blog on Mrs. G's Web site. Those platforms help her connect with customers in simple ways like sharing articles, recipes, and tips. Debbie is the mother of twin girls, Samantha and Leah. Both are sophomores in college; Samantha at Michigan and Leah at University of Arizona. They say that behind every great man is a great woman. Bob Hillier doubled that. When Hillier took the podium at the Princeton Regional Chamber of Commerce Business Leadership Awards Gala on Wednesday, November 30, at Jasna Polana, he announced that it would be his last public appearance as board chair of the Chamber (the incoming chair is Patrick Ryan of Hopewell Valley Community Bank), and acknowledged "the two great women behind me." He then introduced his wife and business partner, Barbara, who just earned her master's last year at Princeton, and his executive assistant Christine Antonelli. But really the night was about accolades. All four honorees received standing ovations (see photo upper left). Each had remarkable stories to tell about their business, but Schaeffer definitely stopped forks in mid-air with her "pink refrigerator" contest, an example of how she has blended traditional and innovative marketing techniques to keep Mrs. G's flourishing despite the five big box stores within a mile of her store. She invited young artists to show their talent and support of Breast Cancer Awareness in a refrigerator-decorating contest. Using social media to promote the contest, Mrs. G's invited customers and Facebook and Twitter followers to vote on the best entries. A whopping 89,000 people voted. The top three artists were invited to the Mrs. G's showroom to paint their designs on retired refrigerators in an event with graffiti artist Leon Rainbow, all to benefit Susan G. Komen of Central/South Jersey. And speaking of social media, as I scanned the room, what I mostly saw were a lot of people glancing furtively down at their lap. No they weren't checking that their napkin was still there; they were checking their E-mail on smartphones or in one case, thumbing through an iPhone photo album to show a tablemate photos of their baby girl. For more information on Chamber events and membership visit www.princetonchamber.org. You've probably heard the statistics on family business survival rates: only 30% make it to the second generation and of those, a mere 12% will survive into the third generation. Mrs. G TV and Appliance, in Lawrenceville, NJ is in that rare category, an achievement even more impressive when you consider that the company is an industry that's been steamrolled by category killers like Lowe's and Home Depot. The company was started in 1935 by Abe and Beatrice Greenberg and is now owned by their granddaughter. So how does a small, local appliance store survive and grow to $10 million in revenue in that climate? I recently spoke to Mrs. G's third generation CEO, Debbie Schaeffer, who learned the business from her mother and grandmother. She shared five key ingredients in Mrs. G's secret sauce. Focus on relationships. "My grandfather was a very smart businessman," says Schaeffer, "but my grandmother was all about relationships. She loved her customers. If someone walked in and needed a refrigerator and couldn't afford it, she'd sit down and talk with them for half an hour about their family, and their job. And they'd walk out of the store with a refrigerator and she'd say, "pay $5 a week." Schaeffer says that relationship-based culture was passed down to her mother, an only child who grew up on the shop floor, and then to Schaeffer, who took over the business twelve years ago. Find a strategic advantage. In the mid-80s, when Lowe's and Home Depot opened five stores in Mrs. G's delivery area, the store suffered initially. "We responded by going high end," says Schaeffer. The store started carrying Sub-Zero, Viking, and other pricier brands without eliminating its core line of appliances. It's a strategy adopted by many small retailers who find it difficult to compete with the big boys on price. The solution: don't compete, differentiate. Make your company a community hub. Schaeffer has brought local celebrity chefs into her store for cooking demonstrations; she's hosted meetings of WIN, a local women's networking group; and in September, the store threw a 75th anniversary party with cooking and cleaning demonstrations, seminars on organizing, and $7,000 worth of giveaways The events bring potential customers into the store in the spirit of sharing information and entertaining, not selling. She also routinely donates products, like a blue ray DVD player, or even a refrigerator, to community auctions. "You never see Best Buy or Lowes doing that," she says. "I know that they're very charitable organizations in other ways, but it's giving to the community that's important." Join a buying group. Schaeffer belongs to a regional appliance buying group called the NECO Alliance, which leverages the combined buying power of independent businesses to get preferential pricing from manufacturers. The program helps Schaeffer be more competitive on pricing of the brands that are featured at larger stores. "They also have satellite warehouses so we get deliveries every day," she says. "So I'm able to do quick turnaround without the financial pressure of heavy inventory storage." Use social networking strategically. "People always ask me if I get sales from Twitter," says Schaeffer. "But that's really not the point." She follows companies and people in her industry to stay current on the technology and design issues that will help her educate customers. It was on Twitter, for instance, that she first learned about Whirlpool's Institute of Fabric Science, which offers advice on proper cleaning techniques for clothing. She reached out to the Institute, which sent a rep to do a demo at Mrs. G's 75th anniversary celebration. And it was on Twitter that I first met Schaeffer, when she responded to my tweet asking small business owners about their experience with Small Business Saturday. Schaeffer, by the way, has 17-year-old twin girls, one of whom is interested in the retail industry. So Mrs. G's may one day be a fourth generation female-owned family business. How do you sustain and grow your own family business? Share your secret sauce with us! She'll always be Mrs. G's granddaughter. Debbie Schaeffer has been in charge of Mrs. G TV and appliance store in Lawrenceville for the last five years, but invariably people will approach her in the grocery store and elsewhere with a knowing smile and the words: "You're Mrs. G's granddaughter..."
"I feel very proud and happy when I hear those words," Schaeffer said. Since taking over the business Schaeffer has taken it to a new level, adding new luxury brands, redesigning the showroom, holding special events, and reaching out to the community. For those reasons and many others, Mrs. G's has been named the 2009 Outstanding Small Business of the Year. The store will be honored during the annual Hall of Fame Awards Dinner on April 21 at the Hyatt Regency Princeton. "I was ecstatic and honored," Schaeffer said about hearing the news that her business had been selected. "It was really wonderful that people saw a lot of the improvements and the difference that I was making." As theMRCC advises, "Get Connected-Get Results," and Schaeffer has done exactly that since taking over the business. She has reached out to the local business community by attending MRCC events, hosting events-including MRCC events-at the store, going to national and regional trade shows, and fine-tuning Mrs. Gs' customer service. Doing these things, she says, helps separate the store from the fierce competition that it faces, both on-line and at actual bricks and mortar stores as close as one mile away. "We had to decide how we were going to set ourselves apart," she said. Another way that Schaeffer has reached out to the community is through the store's involvement in charity work. "We love doing charitable events," she said. Among the charities that Mrs. G works with are the Susan G. Komen Breast Cancer Foundation and the United Way. As part of Schaeffer's efforts to make the store a destination for appliances and televisions, she redesigned the showroom. One unique aspect was including six cooking stations so the store could hold special cooking events. A recent battle of the chefs featured chefs from area restaurants, newspaper food critics, hungry patrons, and lots of great food. "Everybody had a wonderful time," Schaffer said. While the economy has been in the doldrums lately and big-ticket items like appliances have been struggling, Schaffer says that Mrs. G has out-performed the competition in terms of sales. Indeed, the nationwide buying group Prime Time in Las Vegas featured the store in February as an example of how innovative ideas can help independent stores survive tough times. While Schaeffer admits that the poor economy had an impact on the store, she also responded to it in atypical fashion. While many businesses reflexively cut marketing she did not, choosing instead to concentrate on controlling expenses while seeking out advertising bargains. She also did not and will not cut back on employee health care insurance. Schaeffer also invested money and effort into redesigning the store's website because "social marketing is important." The site is extremely comprehensive, featuring numerous buttons,herblog,on-line salesopportunities, andother aspects. "Websites have to be informative and engaging to bring the customer into the store," she said. Schaeffer didn't start out to enter the retail television and appliance business. She was a civil engineer, and initially built both commercial and residential buildings. However, she was always very close with her grandmother, and literally grew up with the business. So when it came time for the original Mrs. G-Beatrice L. Greenberg-to hand over the reins of the decades-old business, Schaeffer decided to take them. "My grandmother always said that I had it in my blood," she laughed. "It just had to come at the right time." Greenberg still comes into the store several times a week and is happy with the way Schaeffer is handling things. "She loves coming here," she said. "She's my biggest fan." Mrs. G has survived withering competition that would have crushed many others, and the list of competitors that have come and gone is long. Yet it seems as if there is always someone else to take their place. However, Schaeffer is confident that her local roots and community-building efforts will always trump a chain's greater resources, and offers that as a formula for any independent retailer facing big box competition. "We have to ride the coattails of buying local," she said. "It's a business model that I think many consumers are following. They know that when you buy local most of the money goes back into the community." She also stresses the importance of establishing relationships, and credits the MRCC with helping her in that regard. "I love the relationships I've established with other business owners [through the MRCC]," she said. "It's very important to establish relationships one-on-one. The chamber is great for that." Debbie Schaeffer, President & CEO of Mrs. G TV & Appliances was recognized at the first annual Women in CE Awards at the Tabu Ultra Lounge in the MGM Grand Hotel, Las Vegas during the International CES. Hundreds industry leaders gathered to honor the remarkable achievements of seven women, who are the first to receive the Women in CE Legacy Award. “It was such an honor to be chosen as one of the first to receive the Legacy Award from Women in CE. I just love their mission: To provide women in the consumer electronics industry an environment for promoting, networking, and professional growth through the development of relationships and new opportunities.” said Debbie Schaeffer. 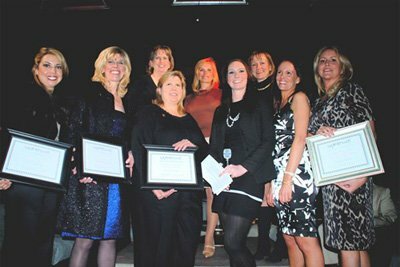 Master of Ceremonies Denise Morales , VP of Sales at Monster Cable, presented this year’s honorees: Vizio’s Laynie Newsome, Debbie Schaeffer of Mrs. G TV and Appliances, Pam Crane of Ken Crane’s, CEA’s Karen Chupka, J&R’s Rachelle Friedman, Irene Baran of Speck Products, and Sonance’s Krista Bergman . Consumer Technology Publishing Group and Vann’s hosted the event and introductions were made by Women in CE founder and CustomRetailer publisher Carol Campbell and Courtney Manlove of Schvee.com and Vann's. Debbie Schaeffer is passionate about consumer electronics and strongly encourages women to enter this field. Today, women purchase 57% of consumer electronics and influence 90% of all CE purchases. Mrs. G TV & Appliances is a third generation family owned Retail Appliance and TV super store that has had an outstanding reputation in New Jersey and Pennsylvania for 75 years. To learn more, visit www.mrsgs.com or call 609-882-1444. Congratulations to Chef Eben Copple of the Yardley Inn, winner of the first annual Chef’s Challenge held at Mrs. G TV & Appliances, based on his outstanding preparation of an appetizer, main course and dessert. In addition, over 130 attendees voted Copple for the People’s Choice Award, presented by Mrs. G TV & Appliances. The runner up of the event was Peter Nowakowski of Rats; finishing third was Jason Hensle of Salt Creek Grille and rounding out the group was amateur, Randy Forrester of Hopewell, NJ. 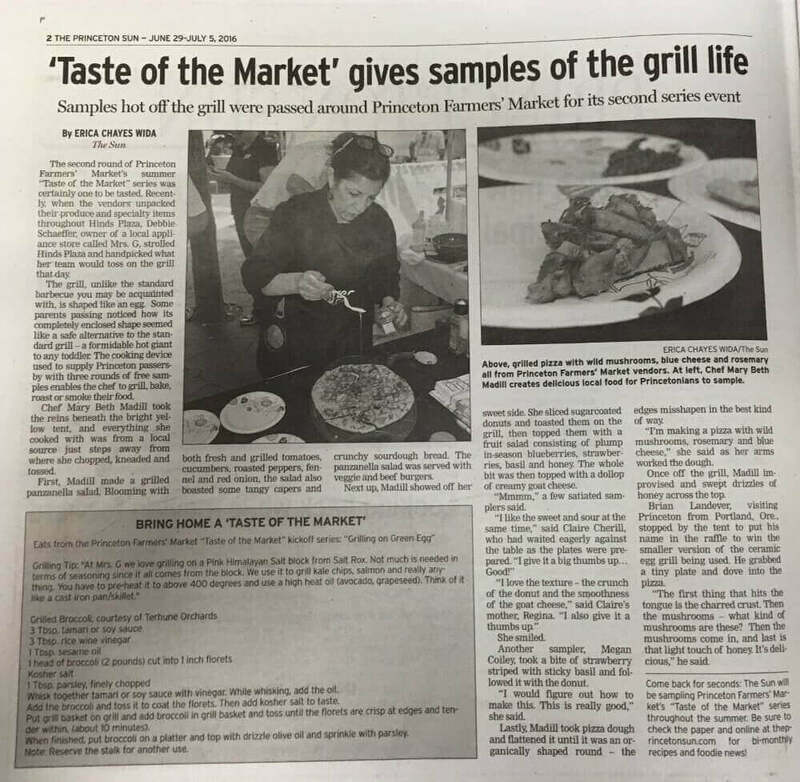 The event was judged by Pat Tanner, local food writer and critic; Colin Marsh of Out & About, and Frank Benowitz of Mercer County Community College Hotel, Restaurant and Institution Management program. Eben Copple, the winning chef of the Chef’s Challenge will receive a two page spread in Bucks Life Magazine. The Chef’s Challenge was sponsored by Mrs. G TV & Appliances, Bucks Life Magazine, McCaffrey’s, Viking, Miele, Thermador, SubZero, Wolf and Gaggenau. Mrs. G TV & Appliances is a third generation family owned Retail Appliance and TV super store that has had an outstanding reputation in New Jersey and Pennsylvania for over 70 years. Mrs. G’ TV & Appliance is based on Route 1 in Lawrenceville, New Jersey. Maker of fine, handcrafted cabinetry joins forces with New Jersey couple to help fund breast cancer research. Superior Woodcraft, Inc., Doylestown, PA, is pleased to announce its participation in a KitchenAid Cook for the Cure® fundraising event held May 8th at the Princeton, New Jersey home of Wendy and Joe Vasquez and their children. The event was dedicated to the memory of Mary Beth Scriven, deceased wife of Joe Vasquez and mother of Laura, Joey and Katie Vasquez. Other sponsors of the event included Lasley Brahaney Architecture and Construction, Mrs. G TV & Appliances and Regent Floor Covering. Each sponsor contributed by assisting with organizing and hosting the event, underwriting expenses and donating silent auction items. Guests enjoyed a light brunch while bidding on a silent auction of pink Cook for the Cure KitchenAid appliances including a coveted stand mixer. Executive Chef Matthew Babbage of Philadelphia’s World Café Live provided a live cooking demonstration, preparing a gourmet salad with seared salmon for everyone to taste. Door prizes and goody bags with more Cook for the Cure items were given away, and Villeroy-Boch limited editions plates for the Cook for the Cure ‘Pass the Plate’ program were available for purchase; all of which helped raise $7,245 for Susan G. Komen for the Cure. Mrs. G TV & Appliances recently sponsored a prize package for 94.5 WPST’s Loyal Listener’s Club Ultimate Showcase of Prizes Contest in which there were 68,000 entries. Tina Perrone of Philadelphia recently won this contest and celebrated with Mrs. G TV & Appliances and the Wake Up Crew of PST! Out of five prize packages, Tina chose the Mrs. G “Green Your Kitchen” prize package which included $5,000 worth of Electrolux stainless steel appliances compliments of Mrs. G TV & Appliances. With the help of Chris Rollins, Deejay and lead personality from the PST Wake-Up Crew, Tina enjoyed picking out the latest energy efficient Electrolux appliances at Mrs. G’s during a recent trip to the newly renovated showroom in Lawrenceville, NJ. “The folks at Mrs. G TV & Appliance were extremely knowledgeable and so nice to work with. I was shocked when they told me I could get a refrigerator, range, dishwasher and microwave for under $5,000! They managed to include tax and delivery as well in my prize package. They were great to work with. WPST & MRS. G's ROCK!” noted Tina Perrone, winner of the “Green Your Kitchen” prize package. "Our Ultimate Showcase of Prizes was a huge hit with our listeners and members of our Loyal Listener Club! We feel lucky to have partners like Mrs. G TV & Appliances that allow us to offer such amazing prize opportunities to our listeners", stated, Dave McKay, Associate Director of Programming at WPST. Mrs. G TV & Appliances is also participating in the Holiday Showcase of Prizes Contest in which the lucky winner will have the opportunity to win a Mitsubishi 65" DLP 1080P TV and Stand with an Aspen Gaming Media Player. For more information about 94.5 WPST, visit www.wpst.com. Close to 200 guests recently celebrated the grand opening of Mrs. G's new designer showroom, The Living Kitchen, featuring the latest appliances from Sub-Zero and Wolf. Guests of Mrs. G's private reception enjoyed mediterrean cuisine catered by Trepiani Ristorante, regional wines from Joe Canal's Wine School and entertainment by Hunter Hayes. Thomas J. Dolan, President of The Fretz Corporation, Debbie Schaeffer, President of Mrs. G TV & Appliances and Michael Broudy, Architect/President of the Broudy Group share a photo opportunity together. Both companies worked closely with Mrs. G's throughout the extensive 10 month showroom expansion project. Mrs. G TV & Appliances recently celebrated the grand opening of their new designer showroom featuring The Living Kitchen™which showcases the latest Sub-Zero and Wolf appliances. Mrs. G TV & Appliances is one of the few nationally selected dealers to feature this in-store, living kitchen concept, with the largest Living Kitchen showroom in New Jersey. The Living Kitchen is designed to present Sub-Zero and Wolf brands in the environment in which they are meant to be experienced, showcasing the breadth of products and offering the opportunity to interact with the appliances much like one would in a home kitchen. The Living Kitchen allows customers to see the full model line-up from Sub-Zero and Wolf with products incorporated side-by-side in a real setting, helping them to visualize how these two brands might complement one another in their own homes. Some of the new products on display in The Living Kitchen include the recently unveiled Sub-Zero PRO 48 professional-style residential refrigerator, an induction cooktop from Wolf that brings the popular European cooking method to North America and a 15” wine storage unit. Lining up accessories refrigerator row-style worked for a lot of years. But 2008 isn’t one of them, said Peter Foerst, a salesman with over a decade of experience. Foerst works the show floor each day at Mrs. G TV and Appliance, a robust independent retailer located on Rt. 1 in New Jersey, close to the affluent Princeton market. He’s adept at charming both deep and shallow-pocketed customers. But the higher the price point of a particular product, he said, the easier it is for his charms to fall flat. Foerst closed an astonishingly good February, moving 31 pieces of high-end Sub-Zero product (his usual monthly numbers are 12-15), and credits that dramatic ticket boost to a new display area that’s much more than fancy cabinetry. Mrs. G recently underwent a massive showroom makeover, with a Sub-Zero/Wolf display area called “The Living Kitchen” as its most impressive new feature. LAWRENCE -- In 1935, a gallon of gas cost an average of 10 cents, the Marx Brothers had moviegoers rolling in the aisles with "A Night at the Opera," and Amelia Earhart became the first person to fly solo from Hawaii to California. That same year, Beatrice Greenberg and her husband Abe, who were married in 1932, opened New Jersey Plumbing Supplies on East State Street in Trenton. Much has changed in 73 years, but the business the Greenbergs established endures to this day. The store, now known as Mrs. G. TV & Appliance, has been on Route 1 in Lawrence for more than three decades. Greenberg, 94, who established her business in an age when female entrepreneurs had their work cut out for them, is a survivor. If you live in or near Mercer County there's a good chance somebody in your family bought a major appliance from Mrs. G (www.mrsgs.com). Your kids, if they stay in the neighborhood, will probably be shopping there too. The locally owned superstore has supplied dishwashers, refrigerators, ovens, outdoor grills and the like for more than 70 years, stubbornly defying recessions, inflation, and the huge chain stores that tried to gobble up customers. The very real Mrs. G is Beatrice Greenberg, who is 94 years old and still comes to work most days. But this month, she's officially passing the baton to her equally energetic granddaughter Debbie Schaeffer. She literally grew up in the store, trailing her grandmother from the time she could walk. McCarter Theatre’s opening play of the season, Stick Fly, by Lydia Diamond is a powerful and provocative play that exceeded target ticket sales and stirred numerous audience members. Aside from its alluring story about an upper crust African-American family struggling with many dark family secrets, the setting of the play could not be more inviting. The LeVay family’s beach cottage in Oak Bluff’s, Martha’s Vineyard, adds luster, class and charm to the many troubles that this seemingly normal family possesses. The state-of-the-art kitchen becomes a powerful arena for many deep conversations, heated arguments and, of course, sumptuous meals. Mrs. G TV & Appliances kindly donated all of the kitchen appliances to make this very important part of the scenery both accurate and compelling. “We were delighted to have the opportunity to contribute to this particular production because it was an ideal opportunity to help McCarter create the perfect atmosphere on stage. McCarter is a gem in our community and we feel very fortunate to give back in a meaningful and helpful way. Furthermore, we are very impressed by all that McCarter does to reach out to underprivileged youth through the theater’s Arts Education programs,” says Debbie Schaeffer, owner of Mrs. G TV & Appliances. Don't Mess with the Mrs.
A feister retailer with over 70 years of experience beats up on big boxes in New Jersey. Nearly every town in America has a stretch of beat up, commercialized highway that looks like Route 1 in New Jersey. And nearly every American has done time waiting at light after light on such a pike, wondering if the road work will ever be done, barely surveying the lands scape because, frankly, its not much to look at--just parking lots and shrubby-looking trees. These roads are abough signs, really, the familiar bold letters that guide drivers to groceries, fast food, used cars, Wal-Mart, and the mall exists, signs are pretty much the same everywhere. Everywhere except Lawrenceville, a Jersey town between Trenton and Princeton that, however generically suburban it appears at first glance, it happens to be a home of a one-of-a-kind American sign. Sharon D'Alessio is shown at her new kitchen range that was among numerous appliances donated by Whirlpool through Mrs. G's Appliance Store. Also pictured from left, Gus Colyar, Territory Manager for Whirlpool, Linda Principe, Co-Chair of the Habitat for Humanity project and Debbie Schaffer (right), third-generation owner of Mrs. G's. Debbie Schaffer, Owner of Mrs. G's Appliance Store, in front of Sharon D'Alessio's new home, presents a plate of appreciation to Gus Colyar, Territory Manager of Whirlpool for their major donation of kitchen appliances and a clothes washer and dryer for this East Windsor Habitat for Humanity project. Visualizing a team of volunteers working together to build a home is the usual image that people have for Habitat for Humanity. What is often unknown is how much corporate sponsors and donors contribute toward Habitat for Humanity projects to help bring them to reality. One such example is a home building project recently completed in East Windsor. The owner of Mrs. G’s retail appliance and TV superstore on Route 1 in Lawrence, Debbie Schaffer, arranged with Whirlpool to donate new kitchen and laundry appliances. The recipient of this new home was Sharon D’Alessio.